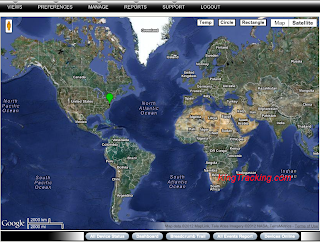 King Tracking will track the location of any highly valuable asset. King Tracking tracks such assets including paintings, jewelry, antiques, pets, automobiles, trailers, off road vehicles, planes, helicopters, and more. Want to know when your valuable painting arrives to the safe it is being transported to? You can be notified by text message once any asset leaves a location as well as safely arrives to its designated location. Also, be notified anytime your asset moves. Our GPS Trackers are reusable which makes the tracking of multiple assets possible. Track them on any phone, computer, tablet, iPad, or any internet device. No software is needed. Multiple trackers may be purchased as well to track multiple assets. Leo Minor has the ability to help locate any missing or stolen property. Lose your luggage on your flight? Just attach Leo Minor to the suitcase and you will be able to find out where it ended up. Somebody steal your purse or wallet? With the convenience of phones, track the location of the thief right on your phone and find your missing item. Everybody loses something, but with our trackers make the recovery of that lost item simpler. Leo Minor is water resistant, which allows it to be attached to any boat, Jet Ski, or any other watercraft. Protect your valuable assets and no longer worry about misplaced or stolen items.